President Mamnoon Hussain has reiterated that Pakistan will continue highlighting the Kashmir issue on international fora. Talking to members of AJK Council in Islamabad on Monday, he said the issue of Kashmir should be resolved as per the inspirations of Kashmiris. 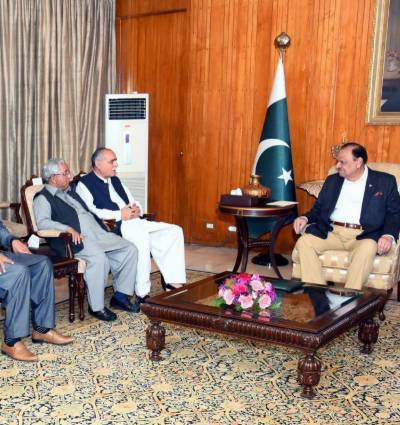 President said that people of AJK should support the developmental works initiated by the government. He said that China Pakistan Economic Corridor will prove to be the game changer for entire region.